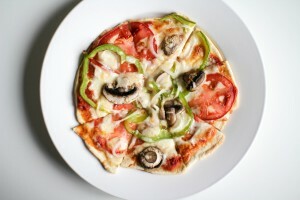 Homemade freezer pizzas really don’t last long here. 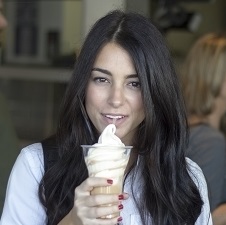 I’ve made a few batches and they go super quick. They are really easy to make vegan if you prefer. I make it with soy cheese for myself and my husband gets regular. Works either way. I prefer the Vegan Mozzarella Cheese by Trader Joes, it comes in a block. I grate it myself it comes out perfectly. I also use it on these vegan enchiladas. I’ve kind of been playing around with this recipe, or should I say playing with the method? The first time I made them it was really late at night. It was one of those things where I had a stroke of genius and had to work on it right away. I didn’t have any vegan cheese on hand so I just made the dough and par-baked it, froze just the crusts, and then assembled them when we wanted them. It worked out great because you have to wait for the oven to preheat before you can cook pizza anyway and it takes a whole 1 minute to top a tiny pizza, right? I wanted to try to make the whole pizza, top it, and then freeze it- like you can buy at the store. That worked too! I was so excited. 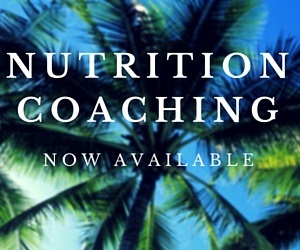 So you can do whatever works best for you. It takes more time if you top it because you have to make sure the toppings are pretty frozen before you bag them so they don’t stick to the wax paper. 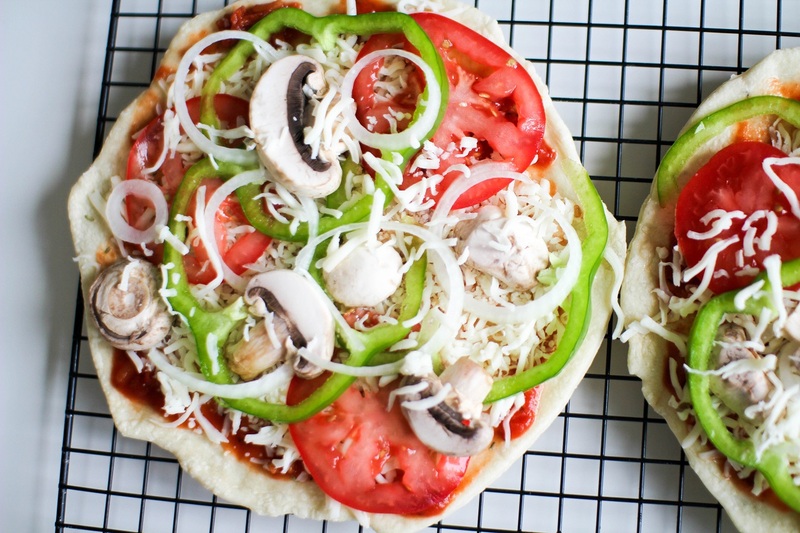 I think this works best if you plan to make pizzas with veggie toppings because who wants to cut a whole onion or bell pepper each time you want 1 tiny pizza? to slice mine, it cuts them super thin and it’s so much easier on me. I bought mine forever ago in college and it has been worth every penny. No need to get an expensive one! I always keep bread in my freezer like demi baguettes so I can make little bruschetta to go with a salad or for garlic bread. I also keep burger buns there because we never need a whole package. Basically I keep all my bread in there. Why not keep ready to eat pizza or pizza dough in there. OH- and if you like pizza you might also like my single serving pizza dough, tomato and caramelized onion flatbread, tomato mango flatbread, or my Stuffed Pizza. (its an old post don’t judge). Put the dough ingredients in order from top to bottom in a bread machine on the dough setting, food processor, or stand mixer with dough hook. You can do it by hand but make sure the dough is kneaded thoroughly. I used the first smaller recipe but if you want your dough to be thicker or if you want more pizzas use the second recipe for more dough. The first recipe is the one I use for basically all my dough needs. Once the dough is combined you can let it rise and divide it into 8 or divide it into 8 and then let it rise. I prefer to separate it and then let it rise. 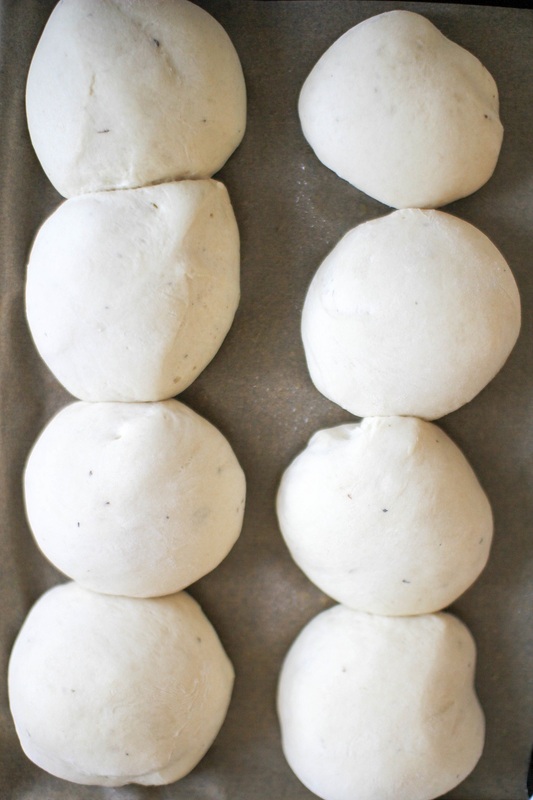 Place the dough on a floured surface in an oblong shape, cut it in half long-ways, then in half short-ways and then cut each half in half again, you get 8 dough balls. Shape them in balls. place them on a lined baking sheet, spray with olive oil spray (to keep crust from hardening) and cover with a kitchen towel. Place the dough in a warm place or barely warmed over (turned off) for 30 minutes. Preheat your oven to 425. 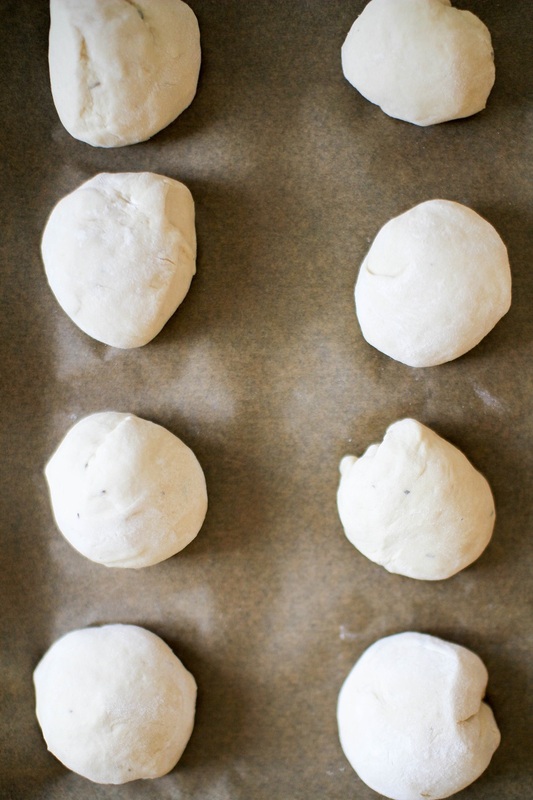 Shape your dough by hand or rolling pin, bake on a sprayed baking sheet for 3-5 minutes. Remove from oven, let cool. You have 2 options now: *freeze as is or **top the pizza then freeze. 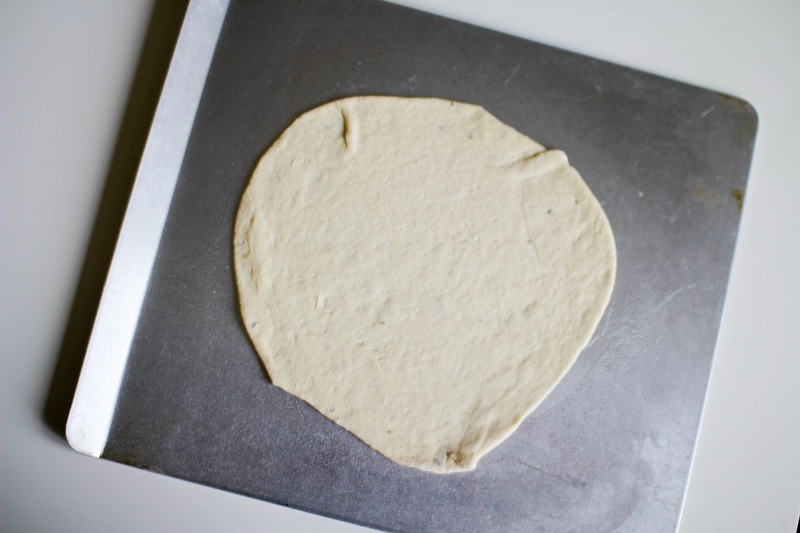 *to freeze as is: place wax paper between cooked and cooled crusts and place in a freezer zip-top bag. Freeze. Top pizza per your preferences prior to cooking. Never cook wax paper. **to top pizza then freeze: lightly spread your favorite marinara sauce, sprinkle oregano, top with cheese and any other toppings you like. If you top with veggies, make sure they are sliced VERY thin (a mandoline works great for this) otherwise when you cook the pizza water will accumulate on the top from the veggies. On a tray place the pizza(s) on a flat surface in the freezer to pre-freeze about 15-20 minutes. 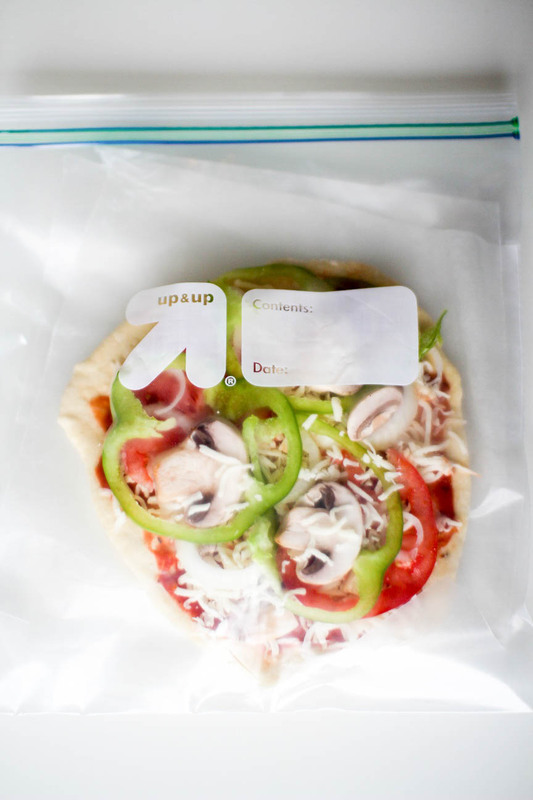 Once all pizza is frozen, place wax paper between and put 2 pizzas per gallon sized zip-top freezer bag. To cook preheat oven to 425 degrees. Bake for 13-15 minutes.